It’s hard to imagine that when second-graders are learning to code and more and more young girls are choosing robotics as their favorite sport that there is still a gaping gender gap in the tech industry. But many women continue to shy away from the male-dominated tech sector for fear of geeky stereotyping and a “brogramming” culture that, amazingly, is still going strong. Take it from one recent graduate of Seattle’s Code Fellows trade school who was interviewing for a job at an innovative tech company. Her expectations were dashed by two male interviewers who used sexual and crass imagery when asking just how passionate she got while coding. Or the time a male coworker left an unsolicited, romantically charged gift on a local programmer’s desk, where everyone else could see it. She didn’t ask for it, was deeply embarrassed and hid it out of sight. Although women make up more than half of the professional workforce in the United States, they play a small role in inventing and facilitating the technology of tomorrow. Women earn 20 percent of all computer science degrees in the United States, according to the U.S. Department of Education. Incredibly, that figure is down from 35 percent in the 1980s. The imbalance presents both a challenge and an opportunity for the Puget Sound regional economy, whose continuing growth increasingly depends on access to a steady supply of new software engineers and coders. Current estimates suggest the Seattle area has more than 20,000 unfilled tech jobs. A large proportion of the highest paying positions are for programmers. Although local tech companies like Amazon and Microsoft have tried to fill the gap by hiring from overseas, there aren’t enough visas available, meaning many of these positions could go unfilled for years. So a growing number of companies, nonprofit organizations and educational institutions are recognizing that local girls and women present an important — and often unrecruited — source of talent and have developed new ways to train women in programming. But even as they persuade more women to join the profession, these organizations must fight other barriers to integrate this new generation of coders into the male-dominated bastion of technology. Malarkey believes tech companies are economic growth engines and crucial to innovation, but she points to dismal statistics that show only 26 percent of women in the United States workforce hold computing jobs. And this is happening at a time when nearly 60 percent of U.S. jobs are held by women, according to the U.S. Department of Labor. In addition, women hold only 13 percent of engineering jobs at tech companies, and only 5 percent of tech startups are owned by women. About 8 percent of CIOs are women, down from 12 percent in 2010. Companies and educational institutions nationwide haven taken note of the gender issue — and have made a semblance of headway — with Washington state in the mix. • An explosion in the number of programming boot camps — from two in 2010 to at least 60 today — has occurred nationwide. 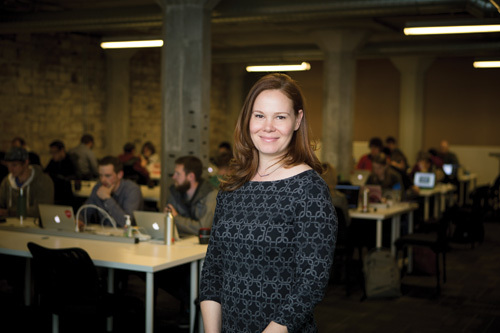 These include local efforts like Code Fellows, Ada Developers Academy and Coding Dojo. “We are helping to transform people’s lives,” says CEO Richard Wang of Bellevue-based Coding Dojo. “The world is moving at a faster speed right now.” He argues that even more pathways are needed to help women land tech jobs or start new careers as programmers. 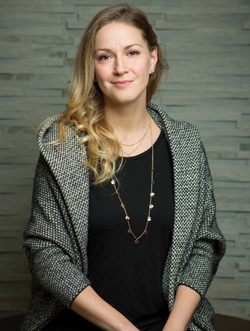 • Dozens of networking organizations, including Women in Technology, Digital Eve and Women Who Code, have formed in Seattle, with tech “meetups” occurring nearly every day of the week. “We are all freelancers in this new global economy,”’ says Becky Anderson, a senior programmer at the local office of Google. • Secondary schools, community colleges and universities are reviewing and improving computer science curricula to attract more women. Nationwide, women earn only 20 percent of undergraduate and graduate computer science degrees. The University of Washington is better, at 25 percent. “Belief is a powerful tool, and I think that we don’t need to believe we are brilliant; we need to believe we are capable, especially under new challenges.” -Blake Johnson, software engineer, Estately Inc.
Another perceived perpetuator of the gender gap is the pervasive “brogrammer” culture in which women feel misunderstood and mistreated by male coworkers. It’s what underlies the experience of the recent Code Fellows graduate who had the unpleasant interview. After being insulted by the two male interviewers, the woman swore off the technology and software industry, likening it to a “misogynistic nightmare” that left little room for hard-working, creative women. Smith says their actions underscore the need to educate men to be more inclusive and sensitive to their female counterparts. Regardless of the prevailing culture, attracting more women to high-tech jobs is a business imperative, Malarkey says. Computer occupations will be responsible for 71 percent of job growth in the so-called STEM fields of science, technology, engineering and mathematics between 2012 and 2022, according to the U.S. Bureau of Labor Statistics. The bureau predicts 1.4 million computer science jobs will become available in the next five years alone, yet traditional universities will graduate fewer than 60,000 computer science majors a year in that period. Preparing that workforce is the focus of ongoing debate in Congress. Lawmakers are considering raising the current quota of visas that can be granted annually to foreign workers — from 65,000 to between 115,000 and 180,000. Local companies like Microsoft argue that the demand for computer science graduates is outpacing the number of graduates traditional universities can produce. The 65,000 visa quota, along with 20,000 reserved for individuals with advanced U.S. degrees, has been reached every year for the past decade. The past two years, it was reached within the first week they were available, according to the Council on Foreign Relations. The shortage of talent creates pressure for new ways to train coders. The University of Washington is seeking money from the state Legislature to build a new computer science building so it can double the number of software developers it graduates. Trade schools that offer short-term courses are flourishing. Smith’s Code Fellows program has expanded to offer its $5,000 four-week coding boot camps in Chicago and Portland as well as Seattle. Graduates are virtually guaranteed jobs. As these efforts multiply, Smith says the work environment for women is slowly improving. Companies, universities and trade schools realize that the strength of a high-tech workforce depends upon the talent, diversity and creativity people bring to those jobs. Google, for example, publicly admitted its lack of diversity last year when it reported that women constitute only 17 percent of its global technical workforce. It vowed to do better and its action has forced other companies to take a hard look at their own diversity programs. 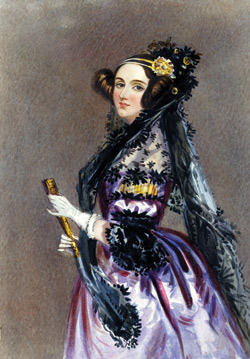 Augusta Ada King, the countess of Lovelace, commonly known as Ada Lovelace, was a 19th century British mathematician and writer considered by many to be the first computer programmer. She is the inspiration for Ada Developers Academy, a Seattle school for female coders. Born Augusta Ada Byron in 1815, she was the only child of George Gordon Byron, the Romantic poet. Lord Byron separated from his wife, Anne, a month after Ada’s birth. Father and daughter never saw each other again. Byron died when Ada was 8. Ada’s gift for math led her to a working relationship with British mathematician Charles Babbage. Her notes on his Analytical Engine, a mechanical general-purpose computer, include what is thought to be the first algorithmic program to be carried out by machine.